“He can’t be attacking the leaders of the party. Take it from me; a party does not exist in a vacuum. There must be people to run the party. President Muhammadu Buhari has a high pedigree which Nigerians are happy of and Oshiomhole should learn from Mr. President. Hey Buddy!, I found this information for you: "Oshiomhole Needs To Learn How To Talk, says Okorocha". 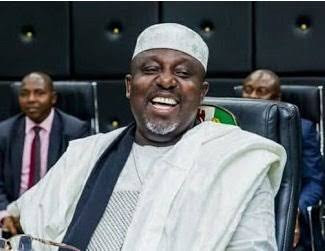 Here is the website link: https://headlinenews365.com/oshiomhole-needs-to-learn-how-to-talk-says-okorocha/. Thank you.